Our range of products include fast setting liquid cement additive and extra quick setting admixture. Fast Setting Liquid Cement Additive for waterproofing repairs.Fast Setting Liquid Cement Additive is a liquid formulation of carefully selected additives which on mixing with cement makes cement set within a few minutes. It is suitable for stopping leakages in basement and underground repairs and applications which require quick setting and high early strength where the stoppage should be permanent. Coverage 26 Litre per Bag of Cement. 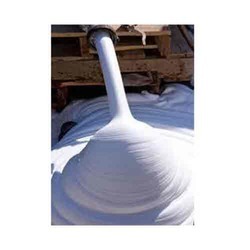 Extra Quick Setting Admixture is used for sealing severe water infiltration in case of dams, harbours, basements. Compressive strength is 120 Kg/cm2 for 2 hours and 140 Kg/cm2 for 2 days. Add ALGIPLAST RAPIDSET to cement in the ratio of 1:3.5 by volume and knead it into a dough and hold it in the hand until it is warm. Hold this into the crack till it sets.